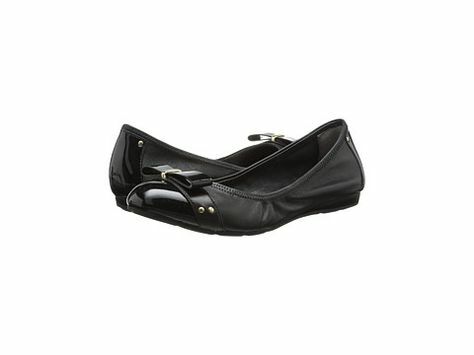 Cole Haan Air Monica flats: not the most exciting shoe, but that's just how I roll. I'm not really a shoe person. I like having a pair of comfortable and pretty shoes as much as the next person, but I don't really go out of way to find them and prefer fairly pedestrian (ha!) styles. When I find a pair that is comfortable, wearable, and versatile, I tend to default to that pair over and over for as long as I possibly can. From spring to fall, my go-to shoes are normally ballet flats, and it generally takes me a little less than three months to wear them to death. At least one shoe has a worn-down hole by that point in time, always in the leather upper on the outer edge, down near the sole. While its often not immediately visible to others, the shoe in question generally doesn't have much of a life span after that. I don't blame quality issues either. I have wide feet and underpronate when I walk. 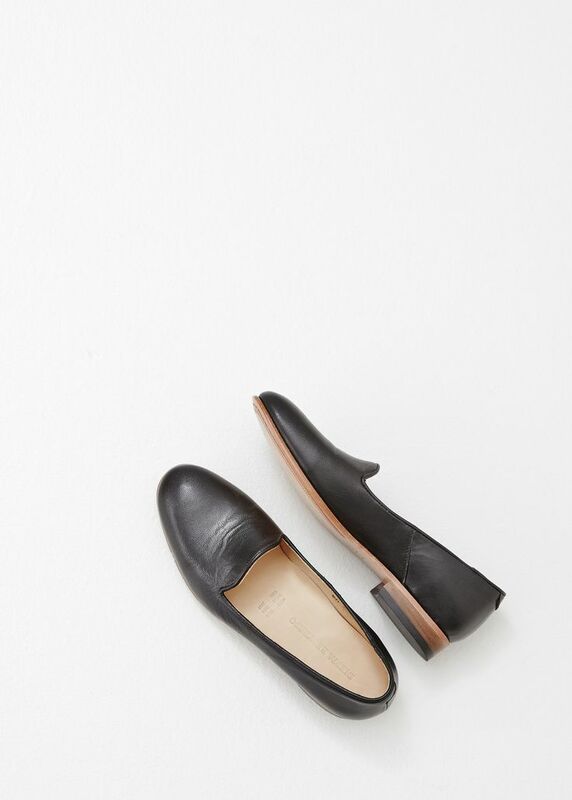 I've tried a range of styles, brands, and price points, and there's no significant advantage to wearing, say, the pictured Cole Haan flats rather than a pair from Payless, Zara, or Gap. Between my feet, the way I walk, and the way I wear my preferred shoes almost every day until they are no longer up to the task, it is no surprise that I generally stick to a $50 or less, usually at Nordstrom Rack, budget for my flats. 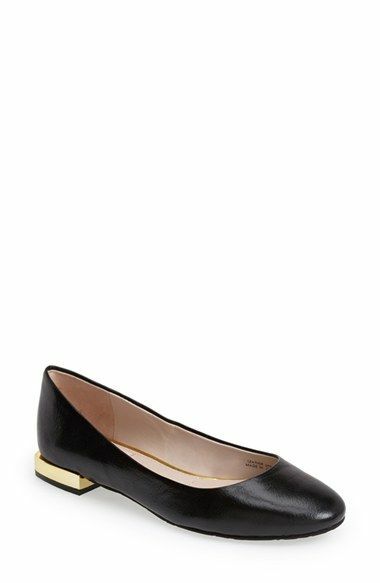 I made an exception for the Cole Haan flats as a work shoe last summer, and the experiment with paying more was not exactly a success. I suppose the next experiment is likely to try out more structured, sturdier shoes, likely with a bit of a heel. The T Tahari Ranma flats were a possibility, though the pair I tried on from 6pm.com ran strangely large and the slightly protruding heel felt like too strange a detail, making me a little less inclined to try that particular style again. Other slightly heeled ballet flats might be a possibility. I've also read some good reviews of Dieppa Restrepo shoes on other blogs, which is another possible direction. All their styles, such as the Dandy loafer, are a bit more androgynous than the shoe styles I normally favor. I am intrigued by more menswear-inspired shoe styles these days, though I'm not one hundred-percent sure about whether I'm ready to invest. For now, the Keds slip-ons I bought are a good choice for everything except heading to work at my internship this semester. They're a bit more casual than ballet flats, and that takes some getting used to, but the Keds fit well with most of what I've been wearing recently. For work, I've been pairing my standard business casual wear with ankle booties more often than not, which I enjoy, but it might project a slightly too casual vibe. Do any of you have similar problems with the longevity of shoes? 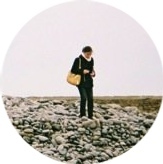 I am certainly happy to hear any recommendations for shoe styles or brands that I could try! I used to have the same issue with ballet flats, a few months of wear and there was a hole in the side. But when I switched to oxford/jazz shoe type of.. shoes, it stopped happening - even when the shoe still had the same kind of very thin sole as the ballet flats did. I guess the lacing and the higher vamp kept the sides of the shoe from rubbing against the ground as easily.